The Mayor of Doncaster, Ros Jones, officially opens the Doncaster Construction Skills Village. The Mayor of Doncaster, Ros Jones, officially opened the new Construction Skills Village in Doncaster at a launch event on Thursday 23 March. The new Skills Village is a collaboration between Willmott Dixon Construction, Northern Regeneration and Barnsley College and will provide local people with the opportunity to develop their skills and knowledge within construction in order to address the skills shortage and close the gap between education and the construction industry, whilst providing employment opportunities for them after they finish their course. The new Skills Village is part of the National College for High Speed Rail in Doncaster which is currently being built by Willmott Dixon. 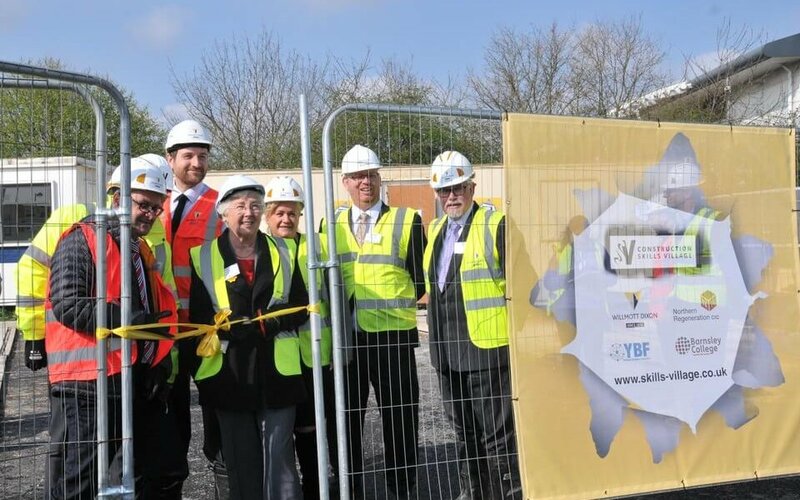 The launch event began with presentations by Anthony Dillon – Managing Director of Willmott Dixon Construction – Northern Region, Roger Morton – Construction Manager at Willmott Dixon Construction, Graham Ratcliffe – Managing Director at Northern Regeneration and Chris Webb – Principal at Barnsley College. The partners explained in further detail why the Skills Village was created and how it will help students to gain a construction qualification together with real life practical experience by working at the Skills Village as well as on the National College for High Speed Rail. The aim of the Skills Village is to help close the skills gap within the construction industry by providing the people of Doncaster with the opportunity to gain construction related skills in order to make them ‘work ready’. 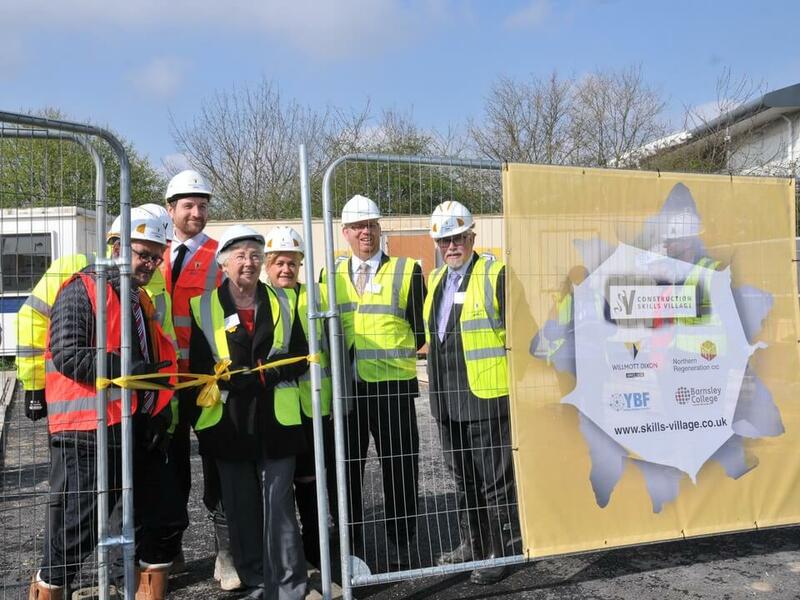 The Mayor of Doncaster officially opened the Skills Village in a ribbon cutting ceremony and guests had the opportunity to see students working on construction activities. The Mayor spoke to the students to find out how the Skills Village is helping to equip them with the necessary skills required for a successful career within the construction industry. This was then followed by a tour of National College for High Speed Rail, due to open in September 2017.